This Madara Organic Skincare Anti-Pollution City CC Cream SPF15 in Medium Beige is a nourishing, silky-textured CC cream for light to medium complexions. Offering natural, broad spectrum UVA/UVB protection, it is formulated to give all skin types a flawless, natural-looking finish as it corrects a range of imperfections, including redness, dullness, age spots and sallowness. 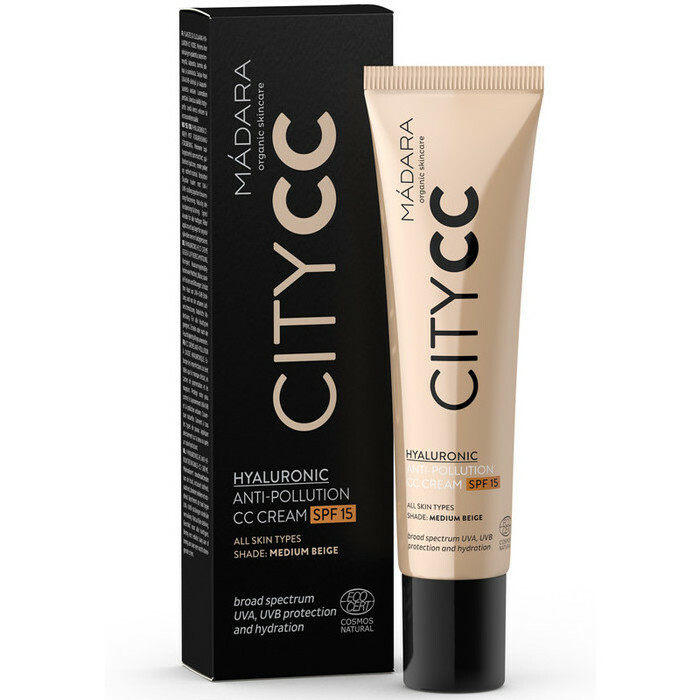 Scientifically proven* to protect the skin, it contains Green Tea, Oak Bark and Grapeseed Extracts, which offer powerful antioxidant defence against the pollution, environmental stress and free-radical damage associated with city and urban living. In addition, Hyaluronic Acid works together with Vitamin C–rich Sea Buckthorn Extract to deeply hydrate the skin, boost elasticity, reduce inflammation, even out pigmentation, and brighten the complexion. 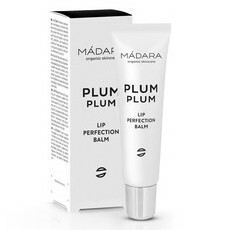 Made in Europe, Certified Natural & Organic with ECOCERT, Vegan, Cruelty Free, Gluten Free. Aloe Vera, Beeswax, Green Tea, Hyaluronic Acid, Sea Buckthorn, Vitamin C, Vitamin E, Zinc Oxide. Apply evenly to the face and neck. Can be used on its own or over your favourite moisturiser. Nice if set with a powder after. I use bamboo blur medium. My biggest complaint about this product is that it gets on other things so easily. If I blow my nose with a piece of tissue, if my collar touches my chin, if I take a power nap... the CC cream gets on the tissue, collar, and pillow. Quite a bit of it, too, not just tiny smudges. I know this isn’t the end of the world for many people but for many foundations I’ve used in the past this just wasn’t a problem. 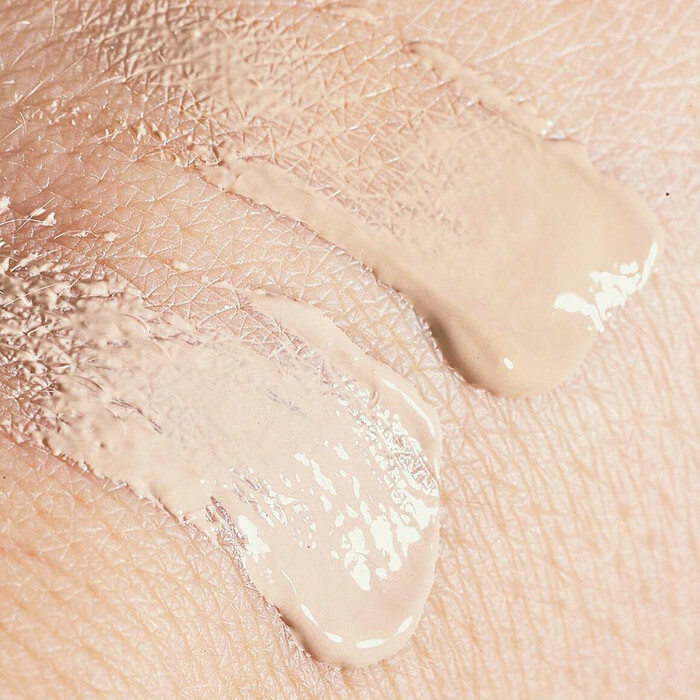 It otherwise is a good foundation, but I’m not enticed to buy the product after my sample runs out, because I’ve used better products out there. Works well when set with bamboo blur in medium.